Mary Miss, New York City. 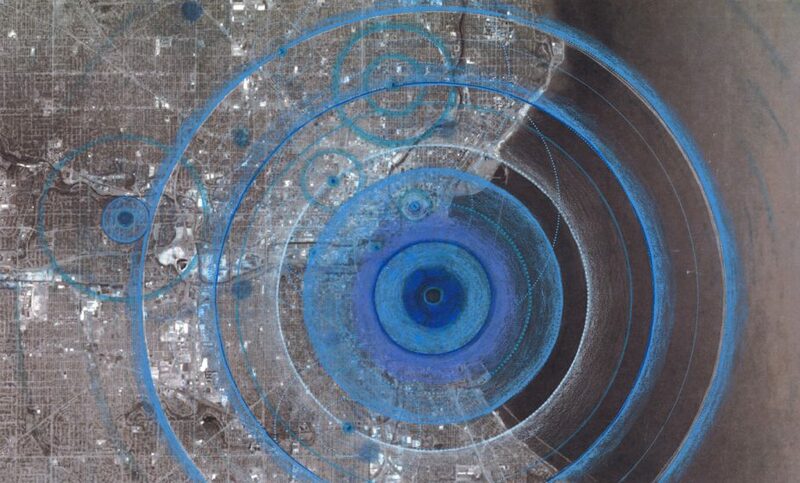 Call and response as a means of dialogue: Physical interventions call out some aspect of the natural systems and infrastructure and, through community engagement activities, the people of Milwaukee respond to and activate the sites. As an artist, having the opportunity to develop a project at the scale of a city has been a remarkable experience. WaterMarks has grown out of a three-year engagement with the city of Milwaukee. City government, academic institutions, and many nonprofits have been essential contributors to the development of this urban-scaled project. Focusing on water, the project has three important goals in mind: address environmental issues as a gateway to sustainable development; engage communities as active partners; help identify Milwaukee as a global water center. Our approach has grown out of a decade of research as part of City as Living Laboratory: Sustainability Made Tangible through the Arts (CALL). We believe that artists have an essential, complementary role to play in creating communities of sustenance. A network approach is deployed to create change in Milwaukee; we envision a series of locations throughout the city activated by artists and community partners. Milwaukee’s Inner Harbor, the confluence of the city’s three rivers, is the starting point of a multi-layered, incremental project that can be implemented over time in neighborhoods throughout the city. The project elements—the Stack, Markers, Mobile Markers and App—visually establish the initial field of engagement for the city of Milwaukee in this Inner Harbor District. We rely on the strategy of call and response as a means of engagement. Each physical intervention will call out some aspect of the natural systems and infrastructure, the history of water as it relates to the growth of the city, as well as the site’s potential to form part of an atlas of water for the city. Through continual community engagement activities, the people of Milwaukee will be invited to respond to and activate these sites. 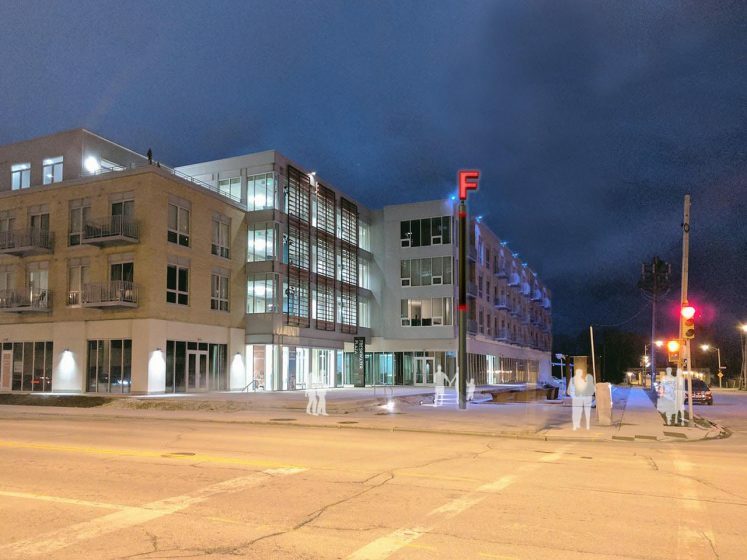 Collaborative programming developed with the Haggerty Museum at Marquette University and a broader group of project partners will allow us to maintain an ongoing presence in the city and a strong connection with its residents. Working with artists using CALL’s methodology the Haggerty will generate public programing in partnership with the Milwaukee Metropolitan Sewerage District (MMSD) and city agencies, other academic institutions, the communities of Milwaukee, and the city’s many foundations and NGOs. To help create a new public narrative around water, we start with the image of the concentric ripples created by water. This visualization is intended to imply the effect actions can have at the scale of the individual, the neighborhood, the region, or the city. The aim is to demarcate a project epicenter as a way to demonstrate initial project relationships, establish the overall visual language for each project element, and signify a commitment to partnering in the creation of this new public narrative around water. The project concept has been to create an Atlas of Water for the city. The imagery is based on traditional atlas diagrams, where letters or numbers typically correspond to an adjacent “key” to learn more. Letters will be installed on the water treatment plant stack and vertical pole markers to act as “map pins” calling out specific aspects of water at various locations throughout the city. Each letter will correspond directly with a water-related location or theme to create an invitation to learn more about a water story at each location (i.e., L is for Lake or R is for Rain-Garden, etc.) The WaterMarks concept is to create a city-scaled 3D diagram of the multi-faceted manifestations of water throughout Milwaukee. The repurposed stack of the Jones Island Water Treatment plant becomes the beacon for WaterMarks. When clear, the stack is lit blue with the pattern of moving light reflected through water. 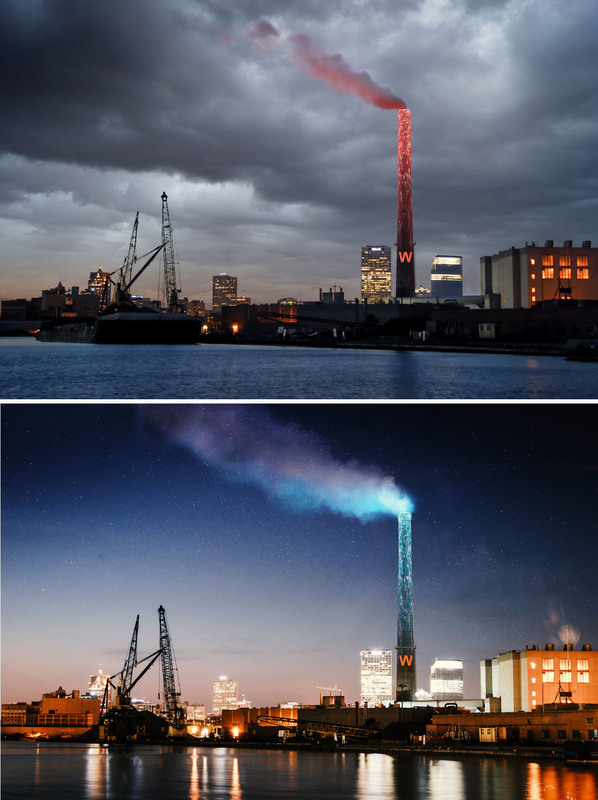 On the evening before heavy rain, the lighting of the stack and its vapor turns red. This signal is to encourage the residents of Milwaukee to limit their use of water to help contain the overflows of contaminated water into Lake Michigan. 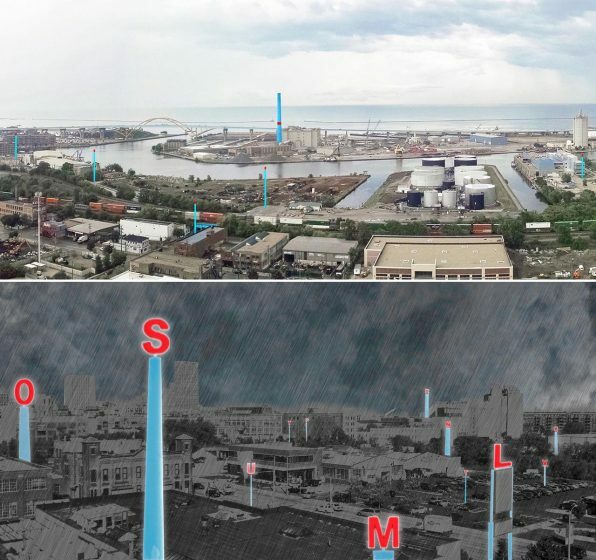 As a result, the stack of the treatment plant becomes a rain forecast indicator encouraging the citizens of the city to become part of the green infrastructure of the city. The first markers in the WaterMarks network will be placed in the Inner Harbor District, creating a visual field where the rivers meet the lake. This initial field of markers will show on a city scale where key topics related to water can be seen or experienced. Specific content related to each marker will be revealed virtually with the WaterMarks App. The App will provide a multi-media presentation of these topics as well as opportunities to participate in programmed activities. In addition to initiating the WaterMarks Atlas and engaging the community, this visual field activates the Inner Harbor and gives it a visual identity. Over time, WaterMarks will expand organically becoming larger and more diverse reflecting the ever-increasing depth and diversity of social and ecological connections. In the late 90’s I was invited to come to Milwaukee to conceive a proposal for an extension of a riverfront walkway into the historic Third Ward District that would be a half mile long. The invitation was made in recognition of my work as lead designer for the South Cove in New York City, one of the first waterfront parks giving renewed access to the Hudson River. 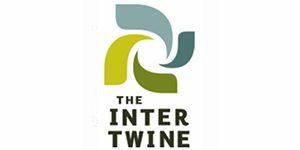 The project supporters felt I was a good choice to help reconnect the city with the Milwaukee River. My goal for the riverfront walkway project was to allow people to get closer to the river as they walked the seam along the water’s edge, as well as help reveal the ecological connection between the city, the water that comes off it and the river. The focus on the relationship between the city and the river was to be explored through the design of features such as wetlands to clean highway run off water in one of the few open spaces, an access point to view into the deep tunnel system, and various locations to look out over the water or get down close to it. Most of these elements designed for the Riverwalk were not implemented due to lack of funding, and because Milwaukee, like many other cities, had not yet begun efforts to recognize and re-establish a complex relationship to its water systems. The entire three-mile long Milwaukee Riverwalk has, however, become a great amenity for the city, contributing to the transformation and revitalization of its inner core. Such an initiative demonstrates the power that a relatively modest investment can have to help reshape a city and positively engage residents. Many years after the completion of the Riverwalk, it received the Global Award for Excellence from the Urban Land Institute. Returning to Milwaukee in 2015 for a panel at UWM’s School of Architecture, I met with a pair of civically engaged people who, having heard about my recent water-related projects in Indianapolis, asked if I would consider doing a project to help tell Milwaukee’s water story. This was a particularly appealing request given my prior experience in Milwaukee and my more recent interest in urban-scale, systemic approaches to promote nurturing communities. A working advisory committee was formed to help guide the project through its initial concept development. It consisted of the director of the MMSD, the Commissioner of the Department of Public Works, and a group of interested citizens including academics, a developer, and cultural leaders. This group has continued to guide the project through its development. Having spent several decades drawing people’s attention to the relationship between the built and natural environment and thinking about how to create a visceral engagement with place, I became concerned that a different or additional form of engagement was necessary to address the increasing environmental risks that were emerging. Rather than overwhelming or frightening people, would it be possible to get individuals/communities to take note of these issues and then feel empowered to address them, taking action in envisioning a future of sustenance? In response to these concerns, in the mid-aughts, I developed the framework for CALL. 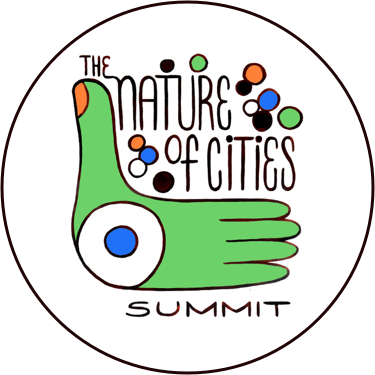 The primary goal was to develop a complementary role for artists working alongside scientists, urban planners, or educators in making issues of sustainability accessible and actionable at the ground-level in communities, particularly on the streets. Artists’ ability to provide direct, visceral experience can be a compelling means of engagement with issues that otherwise seem too overwhelming, too much in the future, or too complex. Rather than depending on the work of a single artist, the vision is for multiple artists to be engaged throughout a city at many different scales. When doing a project addressing a specific topic like water, I began to think beyond singular installations to whether a broader approach in a city could be considered: in Indianapolis we looked at a six-mile corridor of the White River and in a subsequent project generated in part by the first, at neighborhoods along five of the river’s tributaries. In New York City over the past seven years, we have been working on defining the 18-mile length of Broadway as the “green corridor” of NYC where new ideas developed by artists can address issues as diverse as storm surge, gentrification and environmental equity, and the daylighting of a buried stream. This is a systemic approach to create change: it has been interesting to think about how a landscape and community can be affected by multiple sites being activated. We have worked to create situations where it is possible to enlist a broad array of artists of different mediums working in tandem with scientists and other experts to engage communities and their residents with the issues that are most pressing. One-time exposure to problems is shown to be ineffective. By partnering with local community organizations, academic and cultural institutions, and city government, the goal is to create an ongoing engagement in place with these critical issues. We have kept in mind the importance of the UN’s 17 Sustainable Development Goals. We recognize that these are irreducible and inextricably linked. When addressing water or air quality as a topic, health, equity, justice, climate, etc. are also being impacted. In addressing any single issue, the process is intended to maintain awareness and to support the overall resilience of the community and its transformation into sustainability in all areas. The process of review and reflection about past CALL projects considers multiple questions: physically what works and what does not, who needs to be involved and at what stage, what is the best means of engaging people with content, how much is too much information, what is the best process for getting the interest of communities, how does this happen over time, what are the sustainability goals and how are the multiple aspects interrelated? Below we describe key aspects of our previous experience that influence WaterMarks. When deciding where to start in Milwaukee, we spent a great deal of time talking to people and exploring the city. We were very aware of the development that had happened in recent decades in the central parts of the city nearest the lake. We visited the neighborhoods outside the central core and saw the pressing and complex nature of the needs. We began to identify the organizations within these communities that could be possible future partners. After these preliminary explorations, we finally decided to initiate the project in the Inner Harbor for several important reasons. It is here that the city’s three rivers flow together into Lake Michigan making it almost inevitable as a starting point. Also, the city’s main water treatment facility is located here with its 350-foot tall stack making it very visible. The most pressing question was what criteria would be used to determine the sites for the project. Our experience with the National Science Foundation sponsored project in Indianapolis taught us that while it is positive to have sites in stressed or changing neighborhoods, by having these sites widely distributed throughout the city, it was very hard to gather the momentum to make this project visible at the urban scale. The project’s impact was limited by the dispersed presence and lack of density of installations and activities. In the case of Indianapolis, we hoped that relationships could be developed with communities through our collaborating partners during the two years the installations were in place. But as the project progressed we realized our partners did not necessarily share our concerns. It became clear that engaging the communities directly with appropriate partners was the most important first step. The nature and goals of the partnerships had not been clearly enough defined beforehand limiting their effectiveness. Finally, the lack of ongoing programming to engage communities limited the medium and long-term impact of the project. 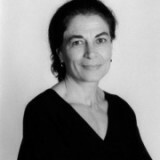 Our work in New York City has provided important experience in terms of programming: we have explored steps for defining the most important issues for communities, how artists can be directly engaged with those issues and the residents, and how this engagement can lead to collaborative proposals to address interests and concerns. We have found that introducing artists to other experts—scientists, historians, sociologists—and having them lead walks in a neighborhood is a good way to start conversations regarding the community and its concerns. It also allows artists, scientists, and other key actors to get acquainted with each other and find common points of interest. The walks are therefore a fundamental part of the process, and several take place in each neighborhood to facilitate these important relations and consider different issues. Another critical step in the process is to have meetings and workshops with community members. A partners’ committee of people from the neighborhood meets to begin identifying relevant issues. They also help coordinate the logistics and generate a list of invitees for a larger, community-wide workshop. Word is put out by these advisors about the workshop and people are invited to sign up. Questions are proposed ahead of time, posted on the walls at the start of the gathering and responses elicited. A discussion that addresses those questions and the responses is led by the partners. Afterwards, the group breaks up into sections to discuss the issues that have surfaced as being most outstanding; an artist is present with each group. Based on the discussion dynamics and the content/priorities that surface, the artists proceed to develop proposals. After the proposals are collected, a group from the workshop decides which proposal they would like to see developed. Sometimes it is only one; sometimes it is several. A plan is then developed to take on these proposals and find the appropriate funding for them. In Milwaukee, CALL has been applying the lessons learned to facilitate and promote the most effective collaboration between artists, the community, and other key actors. In the case of WaterMarks, after the initial Inner Harbor installations, the lighting of the stack and placement of field markers which establish the visual presence of the project in the city, the goal is to have other artists implement projects throughout the city. The city-wide system approach has identified a group of organizations with shared concerns consisting of academic institutions, municipal agencies, organizations and non-profits, philanthropists, and foundations. There are many non-profit organizations throughout the city with similar interests, particularly addressing concerns around water, which we hope to have as WaterMark partners. They know their diverse communities well and have developed programs with goals that are closely aligned with this project. Examples of a few are the Water Commons, the 16th Street Health Center, the United Community Center, and the Urban Ecology Center. We envision WaterMarks as a means to provide a unifying message around the many aspects of water these organizations address. To have municipal partners in this initiative has been key. The Department of Public Works and MMSD have been important partners as WaterMarks has identified neighborhoods, introducing us to leaders across the city in diverse communities. They will be important players in future programming and locating future sites where green or other infrastructure is to be installed. We also look forward to working with the city’s Environmental Collaboration Office (ECO) as the project develops. But to ensure the long-term success of the project requires a strong partnership with a local institution or organization with the capacity to help activate the project and to sustain it after CALL’s initial work is completed. It is important that this partner share our values and goals for community engagement. They also must have the capacity to design and implement programs and projects over time with an array of partners, including local artists. This partner must also have the resources to maintain a robust network with other institutions and organizations to collaboratively carry on the project and programming through all parts of the city. To our great satisfaction, the Haggerty Museum at Marquette University has taken on this role and has served as a steadfast partner in the WaterMarks project. Over the past year, they have shared our aspirations while providing on-the-ground presence, project support, and resources that include a Marquette University Innovation Grant and space on the university’s floor in the Global Water Center. We aspire to work with the many diverse communities of Milwaukee to create futures of sustenance. By recognizing their roles as “vessels” in their own communities, residents of the city begin to appreciate their responsibility for water as a resource that is vital to life and the general well-being across the region. Citizens will have new tools to understand that all property is lakefront property and that the health of Lake Michigan starts with each resident of Milwaukee. A brilliant project and so ecologically efficient and significant. This is an amazing project — like so many of the things Mary Miss and CALL have done over the years. The idea of a city government having an “Environmental Collaboration Office” is brilliant — from NYC to Los Angeles, so many municipalities would benefit from this sort of pro-active civic art and engagement, I want to hear more!